Living at Mercury 3100, you’ll be based just 20 minutes’ drive from downtown Orlando, where you’ll be spoilt for choice with restaurants and bars for weekend fun – don’t miss the amazing tacos at Tako Cheena. Closer to home, indulge in some shopping at Waterford Lakes Town Center, and try the delicious ice cream at the Marble Slab Creamery. Get out into the great outdoors at the expansive University of Central Florida Arboretum, where you can add an extra element of fun to the walking trails with geocaching. You’ll have a furnished apartment at Mercury 3100, where you’ll live with two or three friends. Wake up to a new day in your room, and head straight to the on-site gym for a morning workout to get your energy levels up. After a refreshing shower in your private bathroom, dress for the day in your large walk-in closet before enjoying breakfast with your housemates at the dining table. From Mercury 3100, it’s a short ride on the shuttle bus to the University of Central Florida, ready for a day of classes. The same shuttle brings you home at the end of the day, when you can prepare that presentation for tomorrow using the free printers in the computer center. For a bit of quiet reading time or typing up your notes, there’s plenty of space for all your folders and books on the desk in your room. 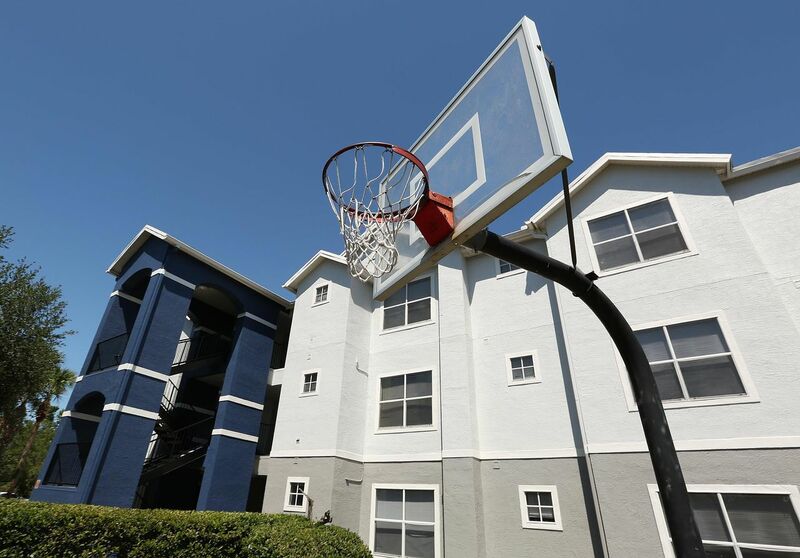 When your studies are finished for the day, soak up the warm Florida sun on the sundeck by the outdoor pool, or get your friends together to shoot some hoops on the basketball court or play a game on the sandy volleyball court. As the sun goes down, fire up the outdoor grills for a barbecue, or head inside to make dinner for your friends in your spacious kitchen. Keep your drinks cool with ice from your refrigerator, and choose a movie from Mercury 3100’s DVD library while your dishwasher takes care of the dirty dishes. 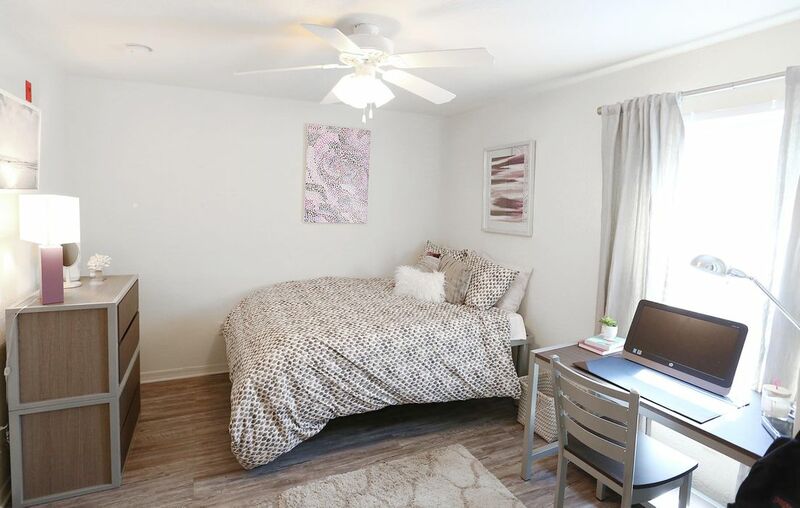 With free parking and bike storage, as well as a washer dryer in your apartment, you’ll find life at Mercury 3100 as convenient as it is comfortable. You’ll also find it easy to make friends with your new neighbors, thanks to the regular community events. 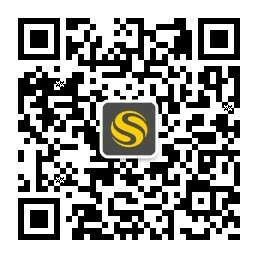 A management and maintenance team is available if you have any problems. Wir haben leider keine Unterkunft gefunden, die deinen Wünschen entspricht.Alle Privatzimmer in Mercury 3100 ansehen.